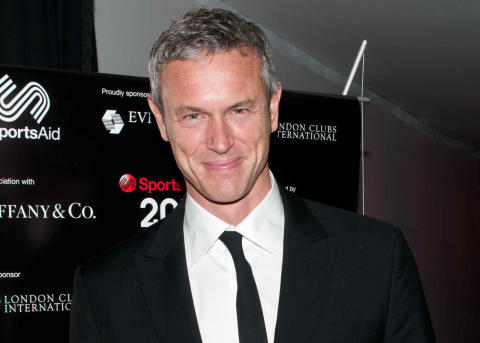 Swimming legend Mark Foster steps out of retirement tomorrow at the London Triathlon where he will be competing in the team relay alongside SportsAid fundraiser Matthew Gambles from RBC Wealth Management. It is a fantastic opportunity for the regular triathlon competitor who is currently gearing up for the half-ironman world championships in September. Matthew says he is really looking forward to the experience but still admits to having a few nerves. "It's just about as high-profile as you can get," Matthew explains. "I'm guessing Mark's going to be first out of the water, which means I'm going to be first out on the bike, but I'm probably not going to be first back on the bike, so I've got to defend that as much as possible, which means the pressure's on." Coming from a family of triathletes Matthew knows well the challenges that young people face in sport and says he is delighted to be raising money for them. "Having done a lot of sport myself I know how tough it can be to find your way so the recognition and support that SportsAid provides gives them the ultimate opportunity really. You only have to read about some of the athletes who benefit from SportsAid and you can’t help but believe in them and their cause. Their personal commitment and approach is very inspiring." That inspiration shines through when you look at Matthew's training schedule. After Saturday's event with Mark he will be in action again on Sunday, competing in the Olympic Plus race on the same course, and then just a week later he will be wearing the SportsAid colours again as part of the charity's RideLondon team - cycling 100 miles on the London 2012 road race route. "Training has been going well and this is all part of the training for September," says Matthew. "Five weeks out it's looking good. But I'm also really looking forward to tomorrow and there it will be all out."